Joey MacDonald is one of the directors of the Olio Artists & Workers Cooperative, a printmaking cooperative established in 2007. 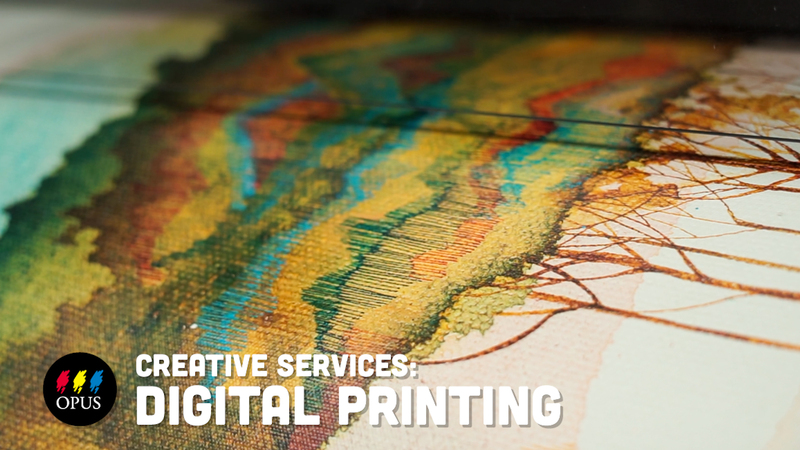 As a graphic designer, Joey found his influence in his passion for screen-printing and music. Watch the video above to see all of the Olio’s facilities and the screen-printing process in action! Alison Woodward from Opus Downtown Vancouver illustrates how you can draw on your imagination, rendering it on the page in washes of ink and watercolour. See Alison's approach, techniques, and preferred materials in this informative Opus How-To Video. Watch the video to see the process and the final results! Vancouver artist Ellen Scobie creates incredibly detailed digital prints from her photographs. Why do you choose to create? How does the creative process affect you? What makes a creative individual? We posed these questions to artists visiting Opus recently. What they shared was a depth of passion for the creative process – personal responses that mirrored why so many of us choose to express ourselves through visual art. Rachael Ashe is a Vancouver artist whose specialities include photography, collage, and a very unique approach to the art of book alteration. Drawing inspiration from the vast variety and influence that our cities nature provides us, Rachael strives to incorporate bits of nature into all of her artwork. We sat down with Rachael as she shared exactly why she alters books, how she approaches them, and what drives her unquenchable desire to create. Interested in some of the tools seen in this video? A huge THANK YOU to the 335 artists who participated in our first ever Opus Outdoor Painting Challenge, held at Opus locations across BC on Saturday, April 21, 2012. Our video was filmed on location at and around the Granville Island, Vancouver location of Opus Art Supplies. It represents what we’ve heard from artists that participated in this challenge as well as what Opus staff from all our locations have relayed to us was their experience of the day. We hope you enjoy this little taste of this wonderful event! For more plein air inspiration, watch some of our other outdoor themed videos. Local artist Maria Josenhans spoke with Opus about what painting en plein air does for her and her art. Watch and get inspired to go outside and see what the great outdoors can do for your work!